We were away during this last rain, visiting friends out of town, trying to get a little break from the summer heat. It was easy to tell that it had rained, though. It was also easy to tell that no one but us had been here. I've heard many stories of people tracking their stolen goods to the home of the thieves that took them, and after showing said thieves their business card (a golf club), bringing all their belonging back home. 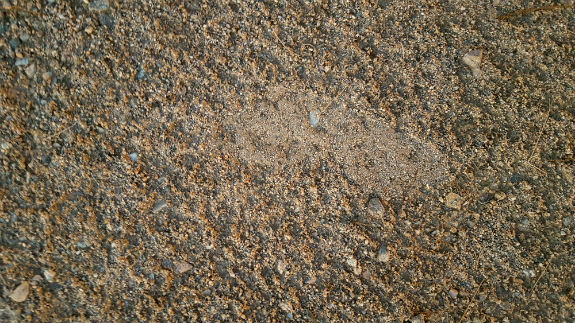 When it rains, the sand lifts up, and then it crunches back down when you step on it, compressing it again. The picture above is of my footprint. From father away, it's easier to see, like the tire tracks in the driveway. Either that, or I've just gotten much better at tracking. Dr. Nicole Pietrasiak, of John Carrol University, an expert in soil crusts, told me this lifting after rain is probably due to air displacement. As the water soaks into the soil, air is displaced, bubbling to the surface, moving and lifting the pieces of sand. There seems to be, however, a slight cohesion between the pieces of sand and I wonder if it is due to the briefest resurrection of blue-green algae in the soil. 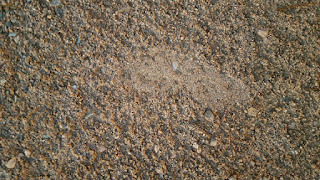 Wonder Valley is Aeolian, formed by wind, so the soil is not stable enough to build proper soil crusts. Blue-green algae will form microbial communities under white quartz rocks. Dr Pietrasiak told me the water is trapped. Sun shines through the quartz creating a greenhouse. This is why you often find sediment clinging to the underside of white quartz in the desert. If you knock this off you'll often find green microbial material clinging to the quartz. See: Why haven't I heard about this before - it's like I was born under a rock! 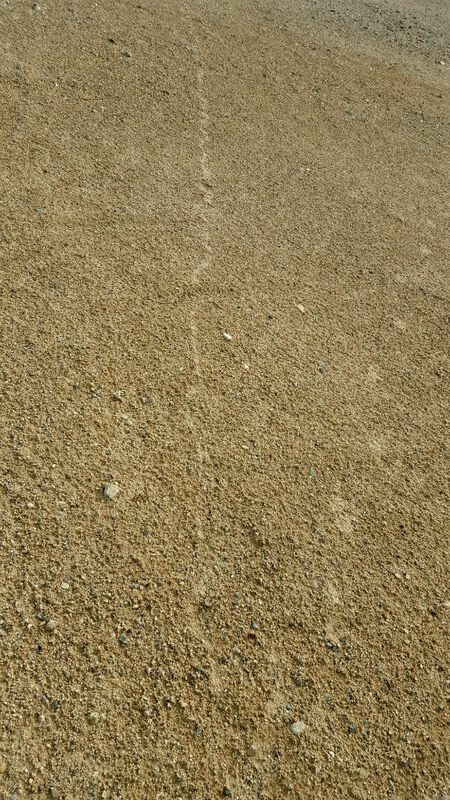 A snake track across the sand. I believe the tracks to the right are jack rabbit, not necessarily concurrent. The coolest thing is that the rain creates a sort of tabula rasa, a blank slate, and reading the desert becomes much easier. 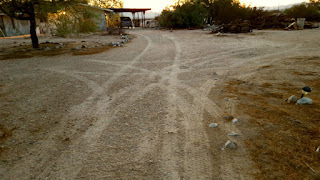 As I walked around the property I found this: a snake trail from my neighbor's' house (they have water available) to a creosote village near my garage. The track is about one inch wide so it is not a small snake. This type of motion is rectilinear, and is favored by rattlesnakes, but also boas, gopher snakes, and other large-bodies snakes. I haven't seen a single snake this year, though I've kept a careful eye out. This phenomena of the sand rising after a rain is exploited by people who want to find out if someone has been sneaking around their house or property. They get the hose out, spray the sand, and when it dries it's ready to record new foot prints. Conversely, weekenders and snowbirds often pay people to "lay tracks" after a storm so that their places look lived in and thieves stay away.